Garry Lineham, co-founder of Human Garage, is a lifelong bio-hacker who believes that the human body was designed to heal itself. He started Human Garage as a vehicle to give people the correct input to start that healing. Garry himself lived in chronic pain for over 20 years. During that time, he became increasingly frustrated with the countless treatment modalities that only addressed his symptoms. He realized the root of the problem wasn’t being solved and set out to do just that. I’ve undergone many different treatment protocols over the years… but nothing like what I went through at the Human Garage. From having four therapists working on me at once (8 hands touching my body at one time), undergoing treatment while standing up, to regular posture, gait, and facial structure analysis, they don’t focus on what is directly causing pain, instead, they treat the entire body holistically. Garry is the leader and chief ringleader, but it’s a program that wouldn’t exist without the talented therapists he’s assembled to work with him on his team. The podcast conversation reveals the what, why, and how of the program – it’s a fascinating program, journey, and a conversation not to be missed. P.S. If you enjoy the podcast, please help us spread the word by sharing it with your friends, subscribing and leaving a review. Your written reviews in iTunes go a long way in helping us get the word out. Here’s a link to do just that – bit.ly/wlc-podcast. Thanks in advance for your help and support! This episode is brought to you by The Good Kitchen. One of the best things I’ve ever done is to get prepared, Whole Life Challenge-compliant meals delivered to me during the week. It makes my life so much simpler, eliminates any questions I might have about healthy food for those meals, and reduces the number of decisions I need to make each day. I highly suggest trying it out. It was a game-changer for me. 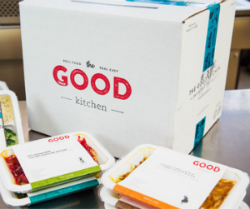 The Good Kitchen will deliver pre-made, chef prepared, WLC-compliant meals (breakfast, lunch, and/or dinner) right to your front door via FedEx. How do you describe the Human Garage? Garry’s bodybuilding injury and years of pain, dysfunction, and attempts at healing and the neurological issue that marked the bottom of the bottom for him. How the body is all connected as one. How your body can only register 3 pains at a time. If a pain is not one of your top three pains, your brain won’t let you be conscious of it. What does it mean to have your body compensate itself back into alignment? Have you ever stopped to think about what part of your body is “in charge”? It’s not the part you think it is. Postural alignment and client education are two key elements of the Human Garagage program. 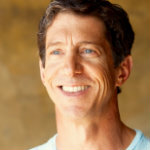 Garry is constantly learning and changing his approach in order to deliver the best results possible to his patients. How gravity and atmospheric pressure affect your body and why they are important to consider when undergoing therapeutic treatment. How meridian lines show hidden connections throughout your body, connections you can’t see and would never consider. They are useful in showing us the connections between muscles, joints, nerves, and organs. Meridians help to explain why a blockage in an organ can cause muscle dysfunction and visa versa. Fascia is woven everywhere throughout your body – you can’t separate from it, or remove it. It’s like an intricate network of webbing that connects each part of you to everything else. Human garage takes a team approach to therapy, relying on the expertise and experience of multiple practitioners simultaneously. 75% of people are not digesting or absorbing nutrients and 82% are chronically dehydrated. Dehydration isn’t just from not drinking enough water. You can drink all the water in the world, but if you’re not absorbing it, it will do you no good. Sodium is required for proper water absorption. Chronic problems that can be improved by the absorption of water – cholesterol, constipation, joint pain, back pain, skin conditions, acne, chronic fatigue, blood pressure, kidney stones, allergies. The two organs (and meridians) that take the most abuse from our modern day environment – kidney and liver. How our modern structural condition of forward head posture is really a nervous system problem connected to the kidney meridian. How to properly hydrate using sodium (the right kind), minerals, and structuring. 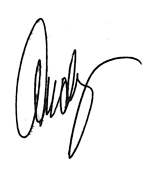 ****SPECIAL OFFER FROM THE HUMAN GARAGE: If you want to book an appointment with the Human Garage, click here. At the bottom of the page, enter the code WLC18 to move up on the appointment waiting list. Have a question? Have feedback? Want to connect?